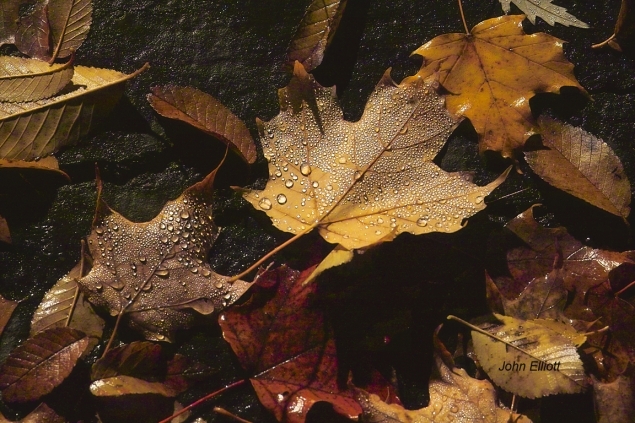 Leaves at night by flood light on my front yard walkway made for a most delightful fall closeup. I had walked to the house from the car and noticed the myriad of sparkles on the leaves. So I instructed my wife to stay clear of the sparkles. I set up on a ladder with Sigma SD9 and macro lens on tripod. The water droplets on the underside of the leaves bead up and sparkle much more than the other side.